You would have heard of Rocket Babies or pre- mature babies. But have you ever heard of "pre mature" Jalebis? And Fafdas, and Bhujiyas and other edibles? 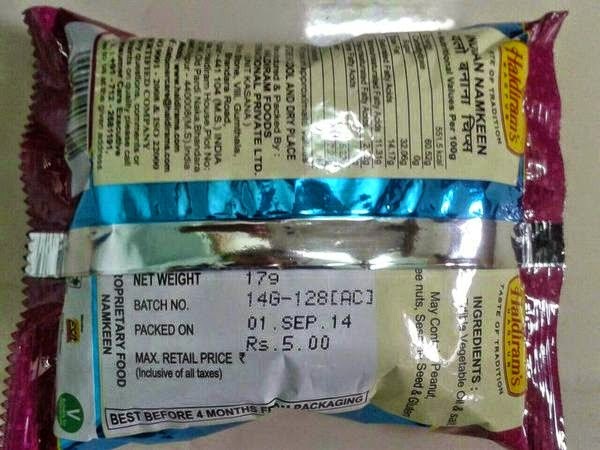 Well savory and sweetmeat giant Haldiram has become a pioneer in this arena by selling products even before their manufacturing date. You don't know what I say? Hee he.. When a friend of mine forwarded me this image, I too was as clue less as you are. I asked my friend- What's this? Haha! My reaction was the same when I saw the tweet yesterday!